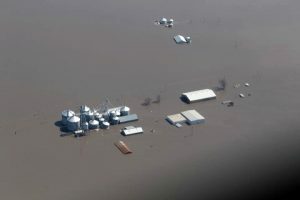 Julius Schaaf provided this picture of his John Deere dealership, shown flooded in the center of this photograph. 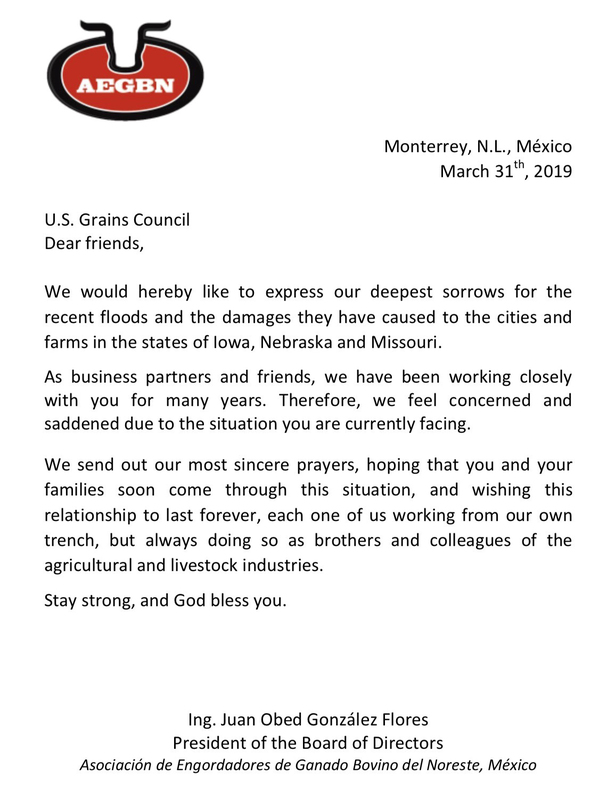 Editor’s Note: The U.S. Grains Council recieved a note from the cattle finishers association of Northeastern Mexico, sharing their support for farmers in the flooding zones. Read the full letter here, which reinforces the strong partnerships built between overseas customers and U.S. farmers. 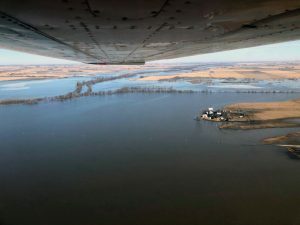 The floods of 2011 and 1952 were bad, but even the old-timers cannot remember when so much water flooded the Missouri River basin in southwestern Iowa. 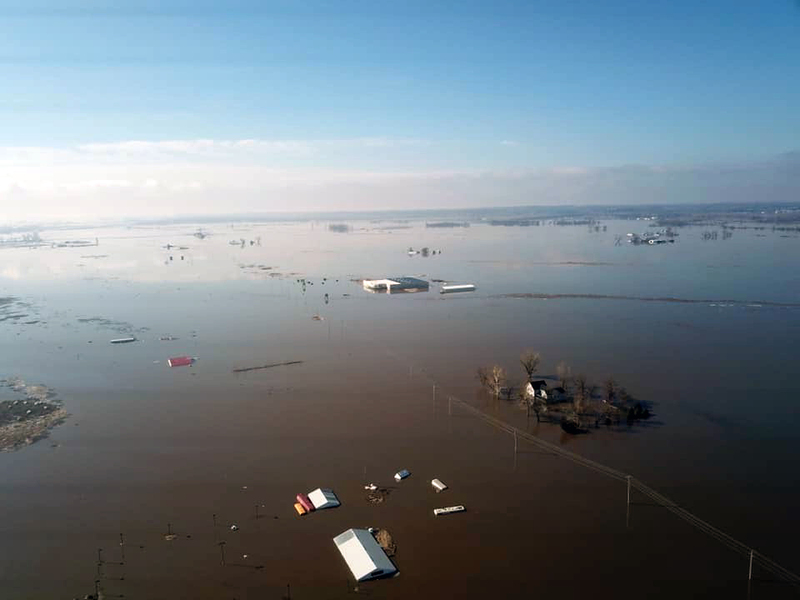 Significant flooding is also affecting other parts of the U.S. Corn Belt, including Nebraska, South Dakota and Wisconsin. 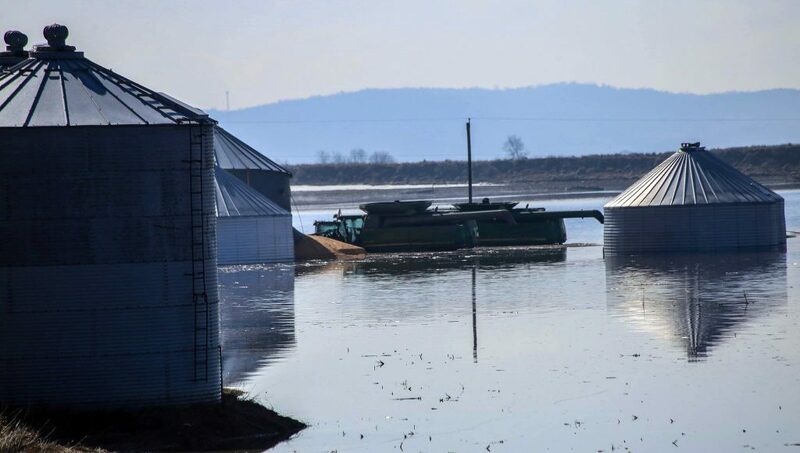 Global Update talked with two farmers in the Iowa flood zone this week – past U.S. Grains Council (USGC) Chairman Julius Schaaf and USGC Director Duane Aistrope – to gain insight into the severity of devastation caused by the ongoing flooding. Schaaf and Aistrope both farm near Randolph, Iowa, east of the Missouri River and along the West Nishnabotna River. Map generated using Google Maps. 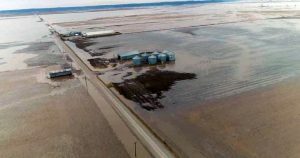 Surrounding towns are also continuing to see flood damage occur. The Army Corps of Engineers constructed a one-mile long wall of large sandbags covered in plastic through Hamburg. 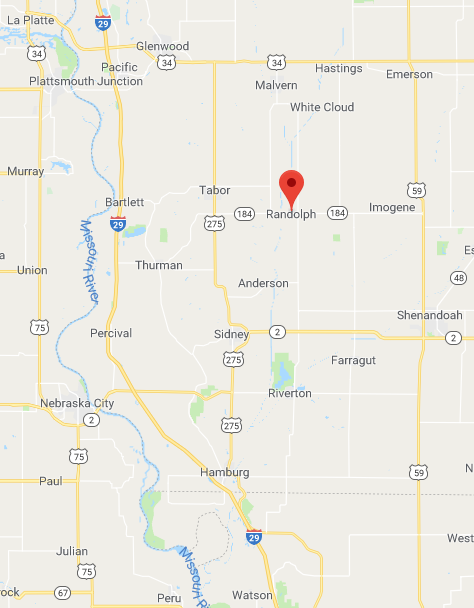 It gave way around 4:30 in the morning, leaving just enough time for Aistrope’s brother-in-law to get his mother-in-law – along with some clothes and paperwork – out of her house, located a block north of the barricade. Within an hour, the house was flooded. And the alternate delivery route that runs by Glenwood? Also under water.